Do you have trouble controlling your calorie and fat intake when eating out? Another great way to control your calorie and fat intake while eating out is to use Bon’App. You can use Bon’App ahead of time or while at the restaurant to look up different menu items and see the calories, sugar, salt, and bad fat in each. Bon’App has restaurant data for the majority of national food chains in the US and extensive coverage of Cambridge, MA restaurants. 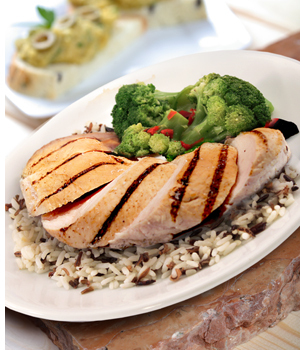 Email us or comment to tell us your favorite healthy restaurant dish!